The Financial Markets Authority (FMA) has come out strong against the suggestion that conflicts of interest leading to poor customer outcomes are driven by financial advisers’ morals rather than commission and incentive structures designed by insurance providers. 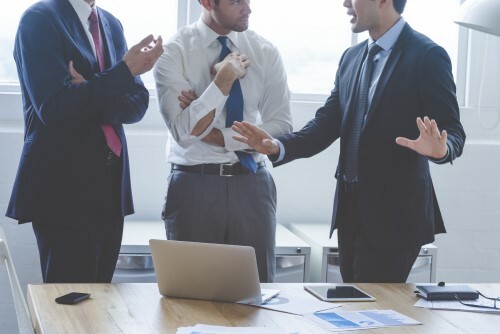 “Insurance providers cannot shirk responsibility for the behaviour of advisers that is a direct result of the incentives designed by those same providers,” said FMA chief executive Rob Everett. “We point to the data and findings in our report as clear evidence that incentives are influencing advisers’ conduct. However, Partners Life chief executive Naomi Ballantyne believes that the issue is about individual morals. “As virtually all RFAs and Authorised Financial Advisers (AFAs) receive commissions and can qualify for incentives for the sale of risk protection products following their advice process, and only a small number have been identified as having poor practices in respect of replacement business, it’s clear to Partners Life that commissions and incentives are not the cause of poor practices, rather individual morals are,” she said. “By drawing a conclusion that it is commissions and incentives rather than individual morals that drives poor behaviours, while still only part of the way through their research, and given such a small number of advisers having been identified as behaving poorly, the FMA risks generating consumer distrust of the adviser distribution channel and may consequently drive those consumers to other distribution channels, which have not yet been investigated in the same way, or alternatively to simply not engage in any advice process at all – something that would be totally counterproductive to the best interests of consumers,” Ballantyne added. Partners Life said, however, that it’s in “total agreement” with the FMA regarding the damage poor replacement advice can cause to customers. “We also agree the industry, alongside the regulator, must find the best methods to eliminate the opportunity for poor advice practices and behaviours to impact negatively on consumers,” Ballantyne added. Partners Life will be taking an undisclosed number of qualifying advisers and their partners to Hawaii this year. The insurer declined to confirm how much the offshore incentive is costing stating it does not disclose the commercial arrangements it makes with advisers. Where do you stand on the issue? Is it a case of poor individual morals or are the incentives themselves the issue? Leave a comment below with your thoughts.